Fill out the form with any questions or inquiries you have for the sales consultants at The Residences at UrbanOak. You can also call or chat with us for immediate responses. Busy professionals can work and relax at The Residences at UrbanOak in San Jose. Located within the Cottle Transit Village, and a short distance from the Santa Teresa VTA Station and Blossom Hill Caltrain Station, are suburban benefits with urban conveniences amid a fresh, green infrastructure. Numerous parks and paths also provide sanctuary for early morning jogs or evening dog walking. The life you want to live is waiting for you at The Residences at UrbanOak. Explore this community and see for yourself. This four-bedroom Plan 1 joins families with friends in dual gathering rooms with an adjacent mid level deck for entertaining. Four bedrooms serve diverse lifestyles in this Plan 2 with an entry-level bedroom for weekend guests or live-in grandparents. This four-bedroom Plan 3 caters to the family chef with its dual cafes. A first floor bedroom affords space to create. 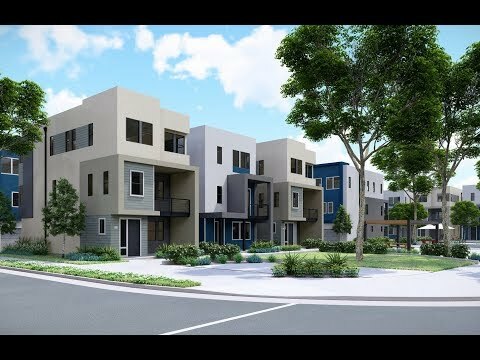 Disconnect from deadlines, and reconnect at UrbanOak with its greenways and parks within the Cottle Transit Village. Enjoy metropolitan retail, dining and entertainment locally and within minutes of easy transit to Silicon Valley and the Bay Area’s hub. High-tech and high flying residents of UrbanOak are within 10 miles of Downtown San Jose and its vast range of lifestyle possibilities to satisfy energetic professionals. Substantial career opportunities await within the innovative Silicon Valley; whereas, cultural and entertainment destinations ease workday strains. Upscale dining, shopping, and events are a short driving distance at affluent Santana Row. The Sales Gallery is Open! The UrbanOak sales gallery is located near the main intersection of Raleigh Road and Great Oaks Boulevard. The customer entrance and parking is off Coronado Avenue, behind Costco.